The most important trends in creative and design for 2019. Why these trends are crucial to customer experience. 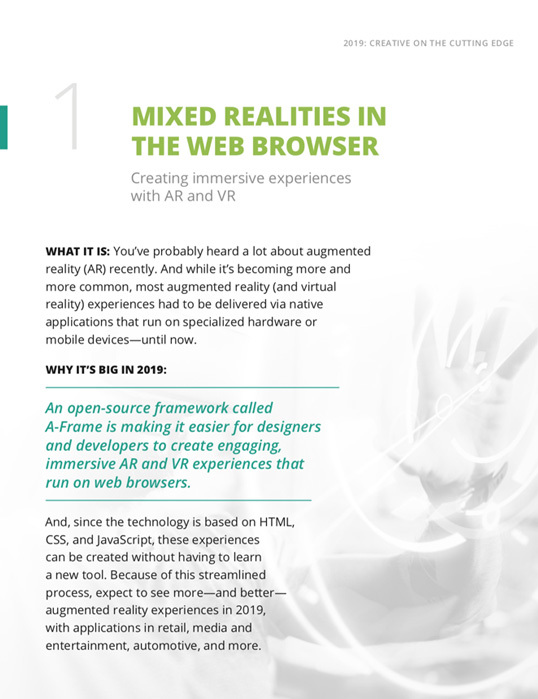 Our experts’ takes on everything from augmented reality to design systems. New year, new trends. 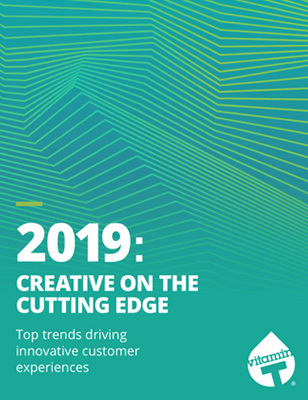 And thanks to our work with the biggest and fastest-moving brands in the world, our top-notch talent, and our in-house industry experts, we’re uniquely positioned to give you the scoop on the creative and design trends that really matter in 2019—and why.